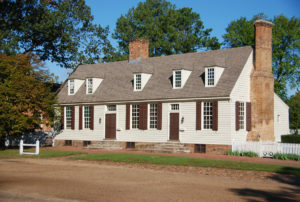 Williamsburg flaunts its colonial heritage, and rightly so–it served as the capital of the Virginia Colony between 1699 and 1780. But after the state government moved to Richmond in 1780, the old colonial capital fell into decay. Civil War came to its doorsteps in 1862, as part of the Peninsula Campaign, in which General George McClellan’s Army of the Potomac conquered the colonial-era town. Remnants from that time remain, best seen along this easy walking tour. Begin by parking your car and walking to Duke of Gloucester Street. 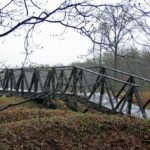 This self-guided walk complements the BGES tour, “The Peninsula Campaign March–May 1862,” offered February 19-21, 2019. 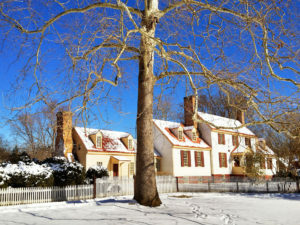 Ovens that once stood in the yard of this historic house were used to bake bread for Union soldiers en route to Fort Magruder. 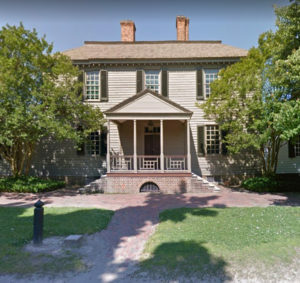 This beautiful Greek Revival mansion on Duke of Gloucester Street was the home of Lemuel J. Bowden, a Union sympathizer who became mayor during the Civil War. 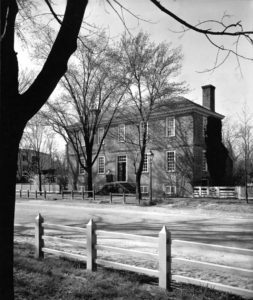 A resident, Miss Harriette Cary, wrote in her diary on May 12, 1862: The Army is fast approaching Richmond … Bowden, the Traitor, is Mayor of our Town …. The Band serenaded Mayor Bowden tonight–loud cheering heard in conclusion. Down with the Traitor! If we ever recover our power—. The home retains its wartime appearance. W. Duke of Gloucester St. 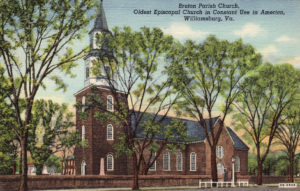 Dating from 1660, this historic Anglican church served Thomas Jefferson, George Washington, Patrick Henry, George Mason, and other Revolutionary legends. After the Civil War’s Battle of Williamsburg, the church served as a hospital for Confederate soldiers. When the rector, Reverend Thomas M. Ambler, made disloyal statements and prayed for the governor instead of Lincoln, the church was closed. 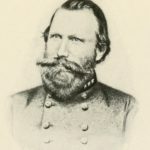 Ambler went on to conduct services out of his home, until he joined the Confederate army as a chaplain. The owner, Robert Saunders, held more slaves than anyone else in town. Leaving supper dishes on the table, the family fled on horseback when General McClellan marched up the peninsula, and Union soldiers plundered the house. Nevertheless, the Federals went on to use the house as the office of the provost marshal. The magazine here served as a jail and armory, while the courthouse was a barracks, hospital, and morgue. The grounds were used as a field hospital after the Battle of Williamsburg and as a general encampment area. 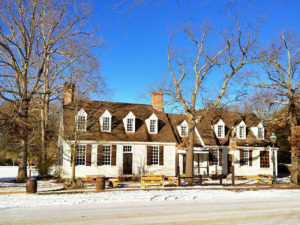 Chowning’s Tavern served as a commissary, and a huge U.S. flag hung over the sidewalk. Ladies expressed their disgust of the occupation by walking in the street to avoid passing under the flag. Soon enough, the flag was replaced with a larger one that covered the entire street. Philip Barziza, son of a Venetian nobleman, raised ten children in this two-story brick home. 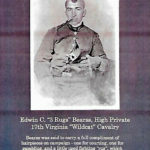 One child, Decimus et Ultimus (“Dessie), served in Hood’s Texas Brigade and marched past his birthplace on May 4, 1862. Dessie went on to be captured at Little Round Top, only to escape onto a train, walk to Canada, and ride a blockade-runner back into North Carolina. He published his war memoirs in 1865 and enjoyed a successful political career in Texas. 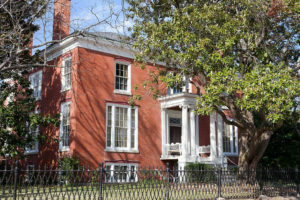 Known as the Vest Mansion, this well-appointed home was headquarters for Confederate generals Joseph E. Johnston and John B. Magruder, who hosted social functions here. Later, Union General McClellan took up residence. After the war it housed the local Freedman’s Bureau. Corner of Colonial and W. Duke of Gloucester Sts. 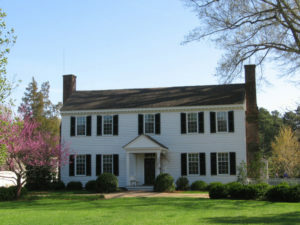 As Confederate soldiers retreated before McClellan, they received biscuits and fry meats at a shop once connected to this property. George Reid had been a colonial-era merchant who sold a “large assortment of European goods,” including rum, sugar, and leather. 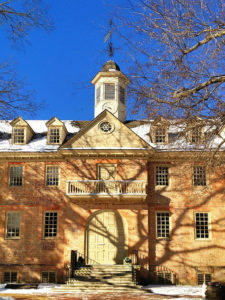 Chartered by King William III and Queen Mary II of England, designed by Sir Christopher Wren between 1695 and 1700 (before Williamsburg was founded), the Wren Building at William & Mary is one of the country’s oldest academic buildings. 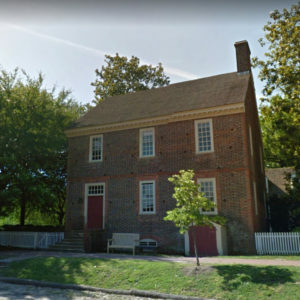 Confederates used the building for quarters and as a hospital, with Union soldiers overtaking it (and the campus and the city) during the Battle of Williamsburg. 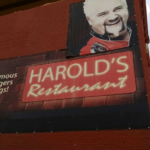 They burned the building and used its walls for defense. College president Benjamin S. Ewell became Joseph E. Johnston’s chief of staff during the Civil War and returned afterward to reopen the school. It continues to be used for classes and housing faculty offices. Make sure to see the paneled Wren Chapel, which has one of the country’s oldest organs (originally from England). If you have built up an appetite, head for the Cheese Shop (410 W. Duke of Gloucester St.) in Merchant’s Square, which offers fresh bread and a wonderful variety of sandwiches. Walk adapted from “Civil War on Foot: Williamsburg,” The Civil War: A Traveler’s Guide, published by the National Geographic Society.